There's been a startling shift in the job market. While other industries are turning away skilled job seekers, the trades industry can't find enough qualified applicants. And, the lack of skilled electricians, carpenters, construction workers, bricklayers, plumbers and other tradesmen threatens the economic recovery, according to a Reuters report. According to a research report by Manpower Inc. - a global staffing company - the shortage of skilled trades will negatively impact many large economies and future growth. And, Manpower is asking employers, federal agencies, and trade groups to employ these groups in order to spur economic recovery. "It becomes a real choke-point in future economic growth," said Manpower Chief Executive Jeff Joerres in the Reuters report. "We believe strongly this is really an issue in the labor market." One of the obstacles to hiring skilled workers is location. Many of the trade job opportunities are in a specific locality where there aren't many skilled workers. And Manpower suggests that companies form a migration policy that will bring skilled tradesmen to the areas that need them the most. This need for skilled workers provides a great opportunity for transitioning servicemembers to find work right out of the military. There are several programs, such as Helmets to Hardhats (H2H), dedicated to connecting veterans and transitioning servicemembers find work in this field. H2H helps National Guard, Reserve, retired and transitioning active-duty military members connect to quality career and training opportunities in the construction industry. H2H ¿ a Web-based program ¿ provides construction career postings on their site, and employs volunteers who take an active role in linking veterans to outstanding career and training opportunities. 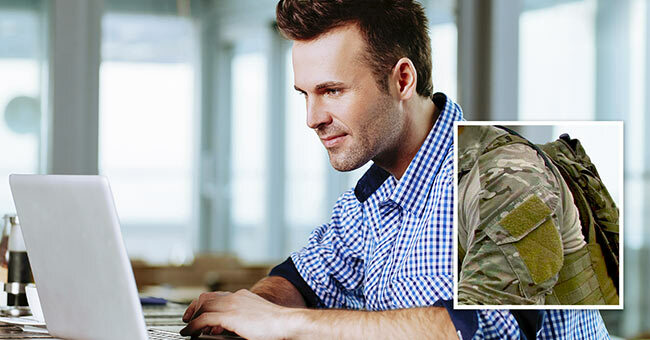 Additionally, Military.com's offers services that will help veterans find work after the service: The Skills Translator and the Veteran Career Network. The Skills Translator can assist veterans who want to work in the trade industry, but aren't sure of how to translate their military skills into civilian terminology. And, the Veteran Career Network can connect former servicemembers to on-the-job training opportunities, as well as mentors who have past experience or currently work in the trades field. For more careers information or to connect with veterans currently working in the civilian workforce, visit Military.com's Careers Channel.